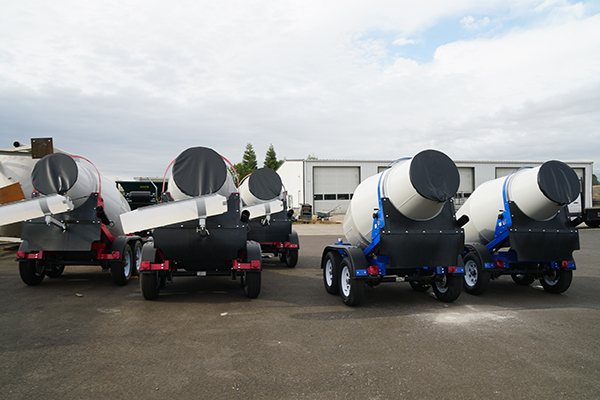 Cart-Away portable concrete mixer drums spin in two directions and tilt to dump. This makes them easy to unload. Sometimes you want a chute to provide extra control over where the concrete is distributed. With the discharge chute option, you will have great directional control. 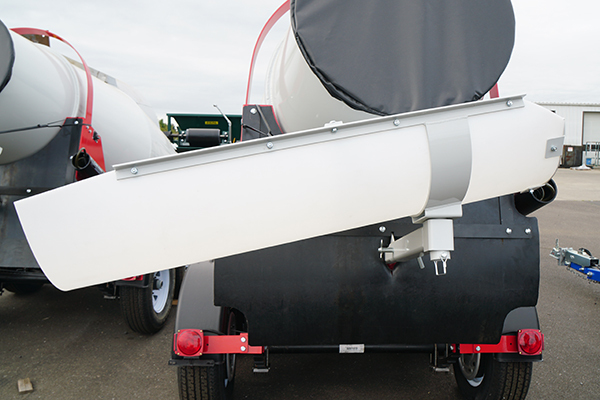 Add the chute on to your existing trailers with two simple assemblies! Most of the mounting assembly stays with the trailer and the chute assembly can move off or between trailers in your fleet. Order a mounting assembly for every trailer in your fleet and a few chutes to share between them. This discharge chute is a simple slide-on, slide-off installation. The Cart-Away portable concrete mixer chute weighs only 40 pounds and the non-stick plastic liner makes clean up and transport easy! 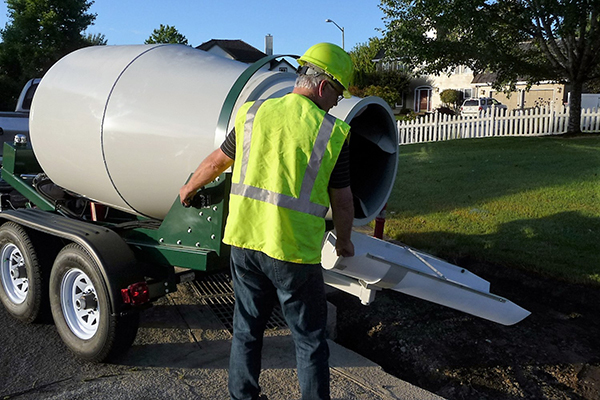 Ask for a discharge chute for any Cart-Away, U-cart or Trailer Haul towable concrete mixer.